Why Childcare First Aid Training is essential? Childcare institutions and child care staff in Brisbane are required to have extensive training in first aid and are CPR certified. If you’re intending to work in childcare, daycare, child minding or caring for and supervising a child or children; or you’re already work in a day-care centre, as a nanny, babysitter, as a teacher or other provider; then this course is essential for your employment or employment opportunities. Childcare providers are our children’s first teachers, and therefore play an integral role in our systems of early childhood education as well as the health and safety of our children. Quality care from a young age can have a huge impact on the future successes of children and therefore require the support of qualified professional whom is an adequately trained first aider in the event of an emergency. In addition, background checks, drug testing at centres, and reference verification are normally a requirement. 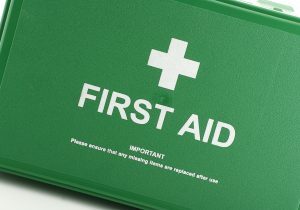 First aid course durations, as mentioned above, are reflective of group sizes of between 4 and 15 participants. If there are less students in a group, you may find course duration reduced by a maximum of 10%. If a class size exceeds 15 participants it may therefore also be necessary to increase course duration depending on the number of participants. 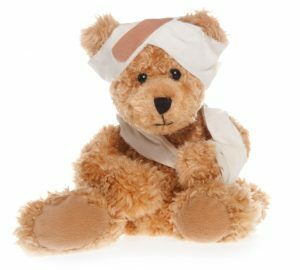 Our first aid course in Brisbane is essential if you are working with children in a childcare centre, early learning areas such as preschools, kindergartens, working as a Nanny, public or private schools. This course is the first step and basic requirement to working in these roles as we cover all the potential risks and hazards that a childcare worker or teacher may be faced with on a daily basis which enables you to respond to a first aid emergency, including asthmatic and anaphylactic emergencies where required. Our first aid training in Brisbane will provide you with the knowledge, skills and most importantly the confidence to be able to handle any emergency that may occur when children are in your care. This unit of competency describes the skills and knowledge required to provide a first aid response to infants, children, and adults. Our first aid courses in Brisbane have been approved by ACECQA and meet the requirements of “First Aid, Asthma & Anaphylaxis”. http://www.acecqa.gov.au/ and will contribute towards approved first aid, asthma and anaphylaxis training under the Education and Care Services National Law, and the Education and Care Services National Regulation (2011). 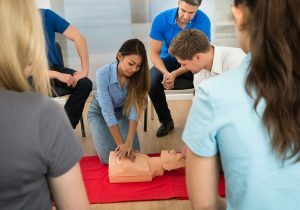 For our first aid and CPR courses in Brisbane, it is recommended that participants should have sound language, literacy and numeracy skills. The participant should contact All Training Services prior to enrolment for a free assessment if they’re unsure whether they meet this requirement. 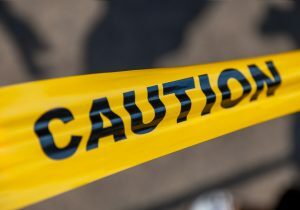 There are no prerequisites for this course; however it is a requirement of this first aid certificate that you are physically capable of performing uninterrupted CPR for at least 2 minutes on a CPR manikin placed on the floor. Please click this link to view the Allens Training Pty Ltd student handbook for this course. 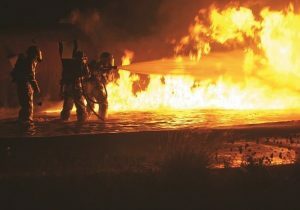 All Training Services can also be found on the firstaidtraining.com.au website. The Childcare first aid course Brisbane can be packaged with other courses of your choice. Please contact All Training Services for a free quote on course packages and receive significant savings.